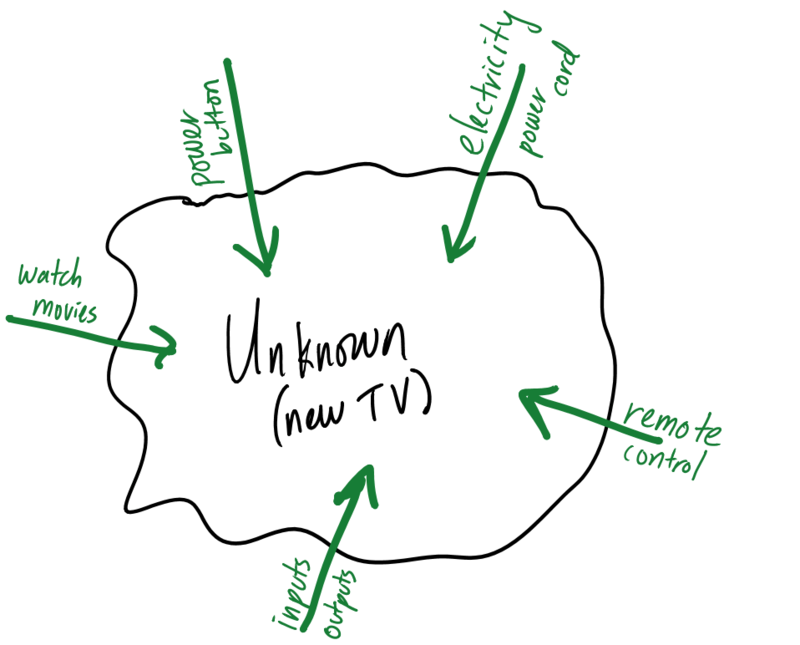 Ten years ago, TVs were bigger, heavier and simpler than the TVs we’re buying today. Although TVs today are more sophisticated they still require electricity. They have a power button. They have a remote. They have inputs and outputs. And they still allow us to watch shows and movies. The type of power button and location are no doubt different. If you’ve used a TV with the new touch buttons, nothing to press, you probably wish they hadn’t changed. The remote has a hundred new buttons. There are ports for input and output on about every side of the TV. And the quality of the picture has improved. In spite of the differences, it doesn’t take long to figure out how to watch a movie. Maybe that’s because TVs slowly evolve. And we learn the subtle difference along the way. Even if we had not learned along the way, say if we brought someone from 20 years ago to the present. A modern TV wouldn’t be difficult to figure out. And that’s because we can relate what we know about TVs of the past, to understand TVs of the present and even TVs of tomorrow. Learning by relating is a powerful technique to quickly conquer the unknown. It alleviates uncertainty. It grounds us in what we know. And from there we can expand to learn the nuances. 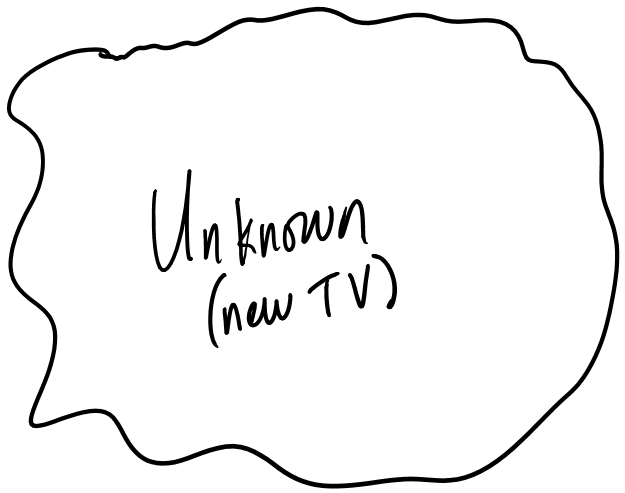 When we approach the unknown, say a new TV, there’s a fuzzy boundary around the unknown. We need a way in. By relating what we know, we have a way in. A really easy way in. 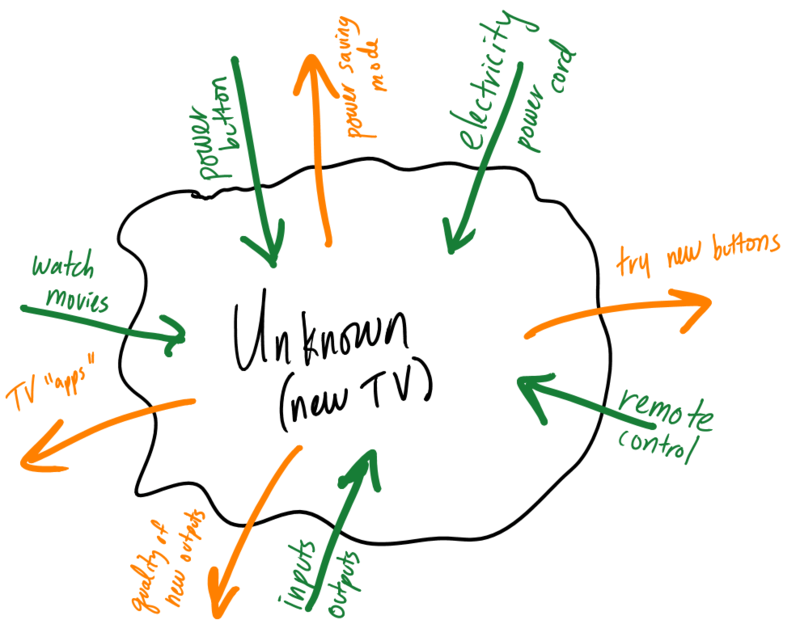 In the case of a new TV, we find the power cord, we find the remote, we find the power button, we find the inputs and outputs and we do our best to set things up so that we can watch a movie. If we succeed, we’ve cracked the unknown. We’ve found a way in. We’re grounded in what we know. Once we’re inside, we can further explore the unknown and extract new knowledge. Once we find the familiar buttons on the remote, we can try new buttons. We might find a new type of input port. We may go read about it and find a new way to connect our cable box to the TV. We can compare the quality of the new input with the old. Not too long ago, TVs turned on and off. Now they have power saving modes. Recently we started teaching TVs to be smart, not dumb. TVs come with “apps”. We might notice a new apps button on the remote. No doubt our familiarity with apps on our phones helps us understand apps on our TVs. By rooting ourselves in the familiar we can branch out. From driving a car to driving a boat or a motorcycle. From a PC to a Mac. A land-line phone to a mobile phone. Researching in a library to researching on the internet. From publishing a magazine to publishing online. Paper books to digital books. From making drip coffee to using a french press. This strategy becomes invaluable in situations where you wouldn’t think you have a reference point. Instead of brute force learning, step back and see if you really have no prior knowledge that relates. Ask yourself what should be similar. Sleep on it. See if other people with a similar background have made the journey. Maybe they can help you make the journey. Perhaps they’ve written about it. Perhaps you know someone you can ask. Expedite getting into the unknown. One recommendation for relating, focus on conceptual similarities. Details are challenging to relate. Conceptually you can fly over the unknown and grasp a 20,000 foot overview. Then parachute in for a closer view when you’re ready.